La-Z-Boy’s Biggest Sale of the Season is on from Thursday 4th April to 12 noon Saturday 27th April 2019. Take advantage of up to 30% off a huge range of selected La-Z-Boy Lounges and up to 20% off Lift Chairs, Recliners and Nordic Chairs - something for every home. Don't miss out, hurry on in! Who wants to go to the Gympie Show? 4 lucky families in the lead up to the show will win a family pass for all 3 days. Follow us on Facebook, like this post, share with your friends and comment what is your favourite thing to eat at the show? FREE DELIVERY HAS NOW BEEN EXTENDED!! Eligible customers can now enjoy Free Delivery until 30th April 2019. NEW 2019 AUTUMN CATALOGUE OUT NOW! 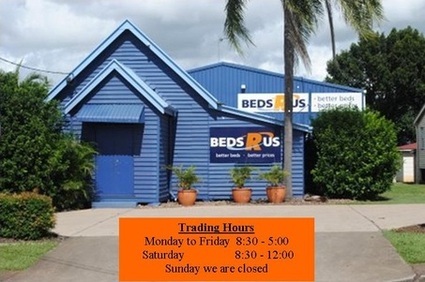 "we would like extend our gratitude to the wonderful people of Gympie and surrounding areas for their continued support, who make our jobs truly enjoyable, it's such an honour to be a part of this wonderful community"
We are a locally owned and operated business which has been servicing Gympie and the Cooloola region for over 30 years. With a stunning range of products at competitive prices, we have everything you need to make your house a home. So come on in and have a look and talk to our friendly staff about all your furniture needs. And if you need delivery, we have great rates for in town and surrounding areas. We also accept GE Credit Cards and can assist you in making an InRent application to help you take your new furniture home sooner. "we would like to extend our gratitude to the community of Gympie and it's surrounding areas for their ongoing support and assistance in making this dream come true"
28 Years Local and Loving it! Please note: All items are included on this site with the intention that they are in stock or available to order at the time of enquiry. Some items may be out of stock or unavailable due to factors beyond our control, and we apologise for this. Certain items will need to be ordered in as they will not be held in stock in our warehouse due to variances in colours, sizes & configurations - waiting times will occur in these instances. This website does not contain all of the items we sell so please come in store for more!